Special flipbook issue! 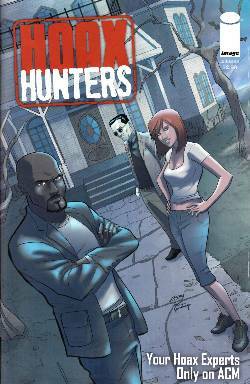 The Hoax Hunters go on a haunted house ghost-busting mission. One half of the issue contains the "on-air" story, what happened while the camera was rolling; flip it over and find out what went down behind the scenes! Features guest artist BRENT SCHOONOVER. PERFECT FOR NEW READERS!